Silybum marianum, commonly known as Milk thistle or St. Mary’s thistle, has been used to support liver health for over 2000 years. Learn about MZ 80, the specific extract used in Legalon. 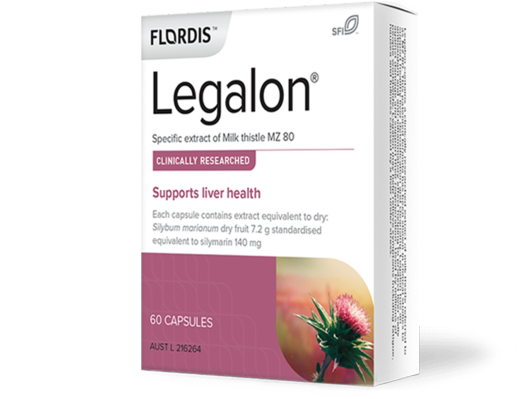 In Legalon®, a specific extract of Milk thistle is used – called MZ 80. Legalon with MZ 80 has been developed using a patented production process to allow for easier absorption of silibinin and has been extensively researched in clinical trials and scientific studies to support healthy liver function. Discover more about MZ 80 used by in Legalon and the key studies that support its benefits. Silybum marianum, commonly known as Miilk thistle or St Mary’s thistle, is a herbal remedy that is commonly used to support liver health. Silybum marianum is a familiar thorny plant that’s prickly leaves contain splashes of white, which were historically referred to as “Mother Mary’s milk”. This is how the nickname milk thistle came to life. The Legalon extract of Silybum marianum is known as MZ 80 and has been extensively researched over the past few decades to support liver health. Research suggests that it can help protect liver cells against toxins and damage, while supporting liver cell renewal and regeneration. 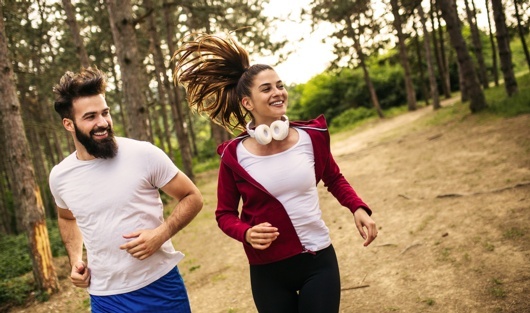 The specific extract in Legalon is made using a patented production process to help ensure the primary active constituent, silymarin, and its key components (specifically silibinin) are more easily absorbed. Your liver is vital to your health and wellbeing playing many roles in your body. Research studies suggest that MZ 80 in Legalon works in a number of ways to support healthy liver function. Legalon with exclusive extract MZ 80 has been studied over the past few decades in more than 5500 patients worldwide.8-15 The below is a selection of clinical studies conducted with MZ 80 to support liver function. *The number of Legalon capsules was subjective based on trial recommendation, with the average being 4 x 70mg tablets (equivalent to 2 capsules of Legalon). Natural healthcare products containing Milk thistle can vary considerably depending on how they are produced. The specific MZ 80 extract used in Legalon is the result of a highly controlled and patented production process with careful consideration at every stage of creation. This helps to ensure that the final product is high quality with consistency of active components, consistently reliable, and researched in clinical trials and studies. That means, you can be sure that the product you are getting contains the same specific extract demonstrated in clinical studies to support liver health. That’s the Flordis difference. By millions of people for over 40 years. Constipation can be uncomfortable and annoying. But there's a simple remedy that can help banish that blocked up feeling. Try adding fibre! Butorova et al., Exp Clin Gastroenterol 2010;3:85-91. Schulz et al., Arzneimittelforschung 1995;45:61–64. Saller et al., Forsch Komplementärmed 2008;15:9–20. Trappoliere M, et al., J. Hepatology 2009; 50:1102-111. Velussi M, et al., J. Hepatology 1997; 26:871-879. Muzes et al., Orv Hetil 1990;131:863–866. Albrecht et al., Z Klein Med 1992; 47(2): 87-92. Schuppan et al., Z Allgemeinmedizin 1998; 74:577-584. Hashemi et al., Hepatitis Monthly 2009; 9: 265-270. Butorova et al. Exp Clin Gastroenterol. 2010;3:85-91. Salmi & Sarna. Scand J Gastroenterology 1982; 17: 517-21. Fintelmann et al., Therapiewoche 1980, 30: 5589-5594. Szilard et al., Acta Medica Hungarica 1988; 45(2): 249-256. Feher et al., Orvosi Hetilap 1989; 130,51:2723-2727. Ferenci et al., J Hepatology 1989;9:105–113.